Sigma is an in-line stereo amplifier coupled with a Tactic3D headset designed to deliver high-powered heart-pounding gaming audio along with crystal clear voice communication over Xbox LIVE. The Sound Blaster Tactic360 Sigma stereo amplifier unit is powered by USB and features separate voice and audio controls allowing you to take complete control of what you want to hear while gaming. Its time to take your gaming audio beyond ordinary just as over 400 million gamers and audio enthusiasts have already done. Its time to get YOUR Sound Blaster. * In-line stereo amplifier with independent audio and chat controls Powered conveniently via USB port from your Xbox 360, the Sound Blaster Tactic360 In-line stereo amplifiers comes with built-in volume controls to adjust both the game audio and incoming chat levels separately allowing you to hear what matters to you most. 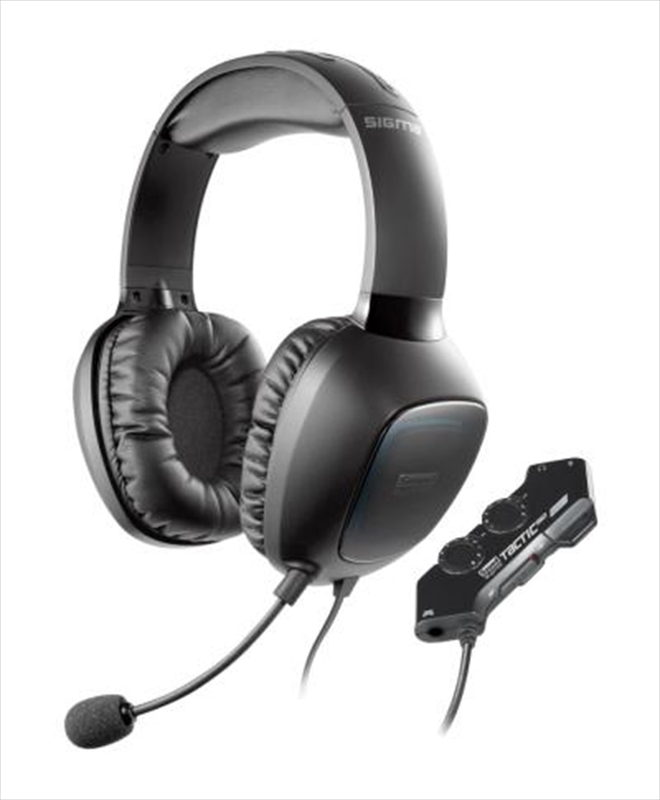 * Steel core headband with high resolution 50mm drivers Experience high-resolution 3D pro gaming audio with 50mm Neodymium drivers in the Sound Blaster Tactic3D Sigma pro gaming headset. Built to last steel core headband ensures a precise fit, and offers maximum durability for marathon gaming. * Noise-Cancelling Microphone for Clear Xbox LIVE Communication - Detachable microphone with adjustable chat volume control.